Having Golden Rule Contractors look at your roof in addition to the insurance company assures that you’re being charged the appropriate cost for your repairs. We are willing to help with the claims process, and can even help the insurance company determine the cost of repairs to your home. 1. Locate your homeowner’s insurance policy. 4. Contact Golden Rule Contractors to schedule an appointment for us to inspect your roof. 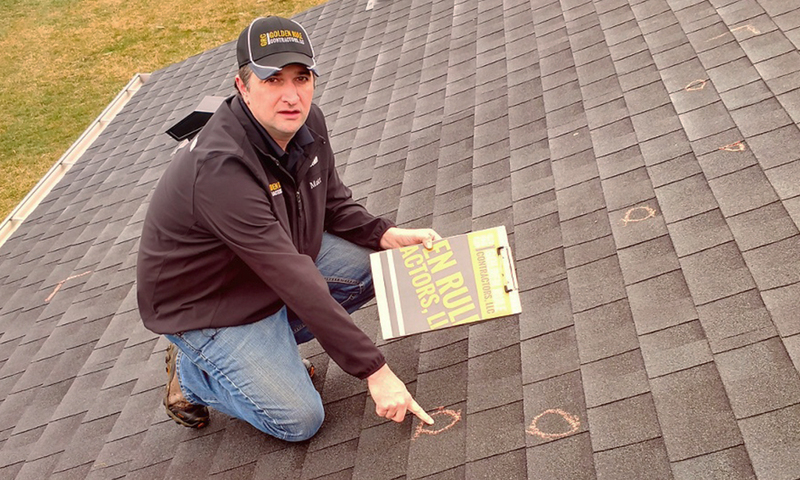 HOW OFTEN SHOULD YOU GET A ROOF INSPECTION? WILL INSURANCE PAY TO REPAIR YOUR DAMAGED ROOF? There is no guarantee that your insurance company will replace your roof, as there are many factors at play. These include the age, variety, and condition of the shingles. Insurance companies may have differing policies regarding roofing repair or replacement. Contact Golden Rule Contractors and we will inspect your roof for damage at no cost to you. If damage has been sustained, we can help you with a plan going forward. Matt and Dave have the best crew and are so great at what they do. Professional, fast and courteous. I strongly recommend them. Give them a call!